I have listed a new property at 45549 WELLS RD in Sardis. Over 4100 sq ft rancher w/separate 2bdrm suite down. Located on .43 marvelous park-like acres with a 'year round spawning creek'. 2x6 constrctn, 17x14' covered back deck w/skylight to enjoy the gardens. 2 furnaces, 2 meters, 2 h/w tanks, a/c air filter system & separate electric panels for main & down. Main has 3 very large bdrms, ensuite w/jetted tub & separate shower. Raised oak cabinets in kitchn w/blt in oven & stovetop, ceramic tile backsplash, adjoining eating area w/sliding doors to deck, gas fp in living rm, blt/in wetbar for entertaining. Picture windows viewing creek, gardens. Features bright 2072 sq ft down with 2bdrms, 1.5 baths, laundry & storage. I have sold a property at 45219 MONTCALM RD in Sardis. Beautifully updated Sardis family home on a nice quiet street close to several schools. Almost 2000 sq ft. Complete with 4 bedrooms, 2 baths. New spacious kitchen with granite counter tops & back splash, soft roll out drawers. New bath on the main with quartz counter top. 3 bedrooms on the main. Games, family & bedroom down. Great back yard Oasis with a huge deck & covered patio, hot tub & pool. Heat pump & air conditioned. Room for RV parking! I have sold a property at 28 46225 RANCHERO DR in Chilliwack. Beautiful end unit in Ranchero Estates! Bright & spacious with 3 bedrooms, 3 baths & loft. Open floor plan, hardwood, laminate & tile floors, vaulted ceiling, kitchen has large island & eating area, gas fireplace in living room, separate dining room, master on the main with 3 piece en suite. Huge loft above with 2 bedrooms & full bath. Extra large patio in the back that's private & fenced. Air conditioned & double garage with parking for 2 more! Please visit our Open House at 45219 MONTCALM RD in Sardis. Beautifully updated Sardis family home on a nice quiet street close to several schools. Almost 2000 sq ft. Complete with 4 bedrooms, 2 baths. New spacious kitchen with quartz counter tops & back splash, soft roll out drawers. New bath on the main. 3 bedrooms on the main. Games, family & bedroom down. Great back yard Oasis with a huge deck & covered patio, hot tub & pool. Heat pump & air conditioned. Room for RV parking! I have listed a new property at 28 46225 RANCHERO DR in Chilliwack. I have listed a new property at 45219 MONTCALM RD in Sardis. I have sold a property at 107 7610 EVANS RD in Chilliwack. Enjoy peace & quiet in this end unit home in a great retirement complex. 55+. Very spacious with over 1000 sq ft of living space. 2 bedrooms, 2 baths. Gas fireplace in living room. Air conditioned. Covered patio and a shed. Attached carport. Very central Sardis location close to all shopping amenities & easy Hwy access. Please visit our Open House at 45549 WELLS RD in Sardis. Beautiful 4100+ sq ft Rancher. Located on .43 marvelous WATERFRONT park-like yard with a "year round spawning creek". 2x6 const. 17x14 covered back deck w/sky light to enjoy the gardens. 2 furnaces, 2 meters, 2 h/w tanks, a/c air filter system, & separate electric panels for main & down. Main has 3 very large bdrms, en suite w/jetted tub & separate shower. Raised oak cabinets in kitchen, ceramic tile backsplash, adjoining eating area w/sliding doors to deck, gas f/p in living room. Picture windows view creek & gardens. Features a bright 2 bdrm, 1.5 baths, laundry & storage Suite down with separate services. There is also an RV garage & 2 Sani dumps! Beautiful 4100+ sq ft Rancher. 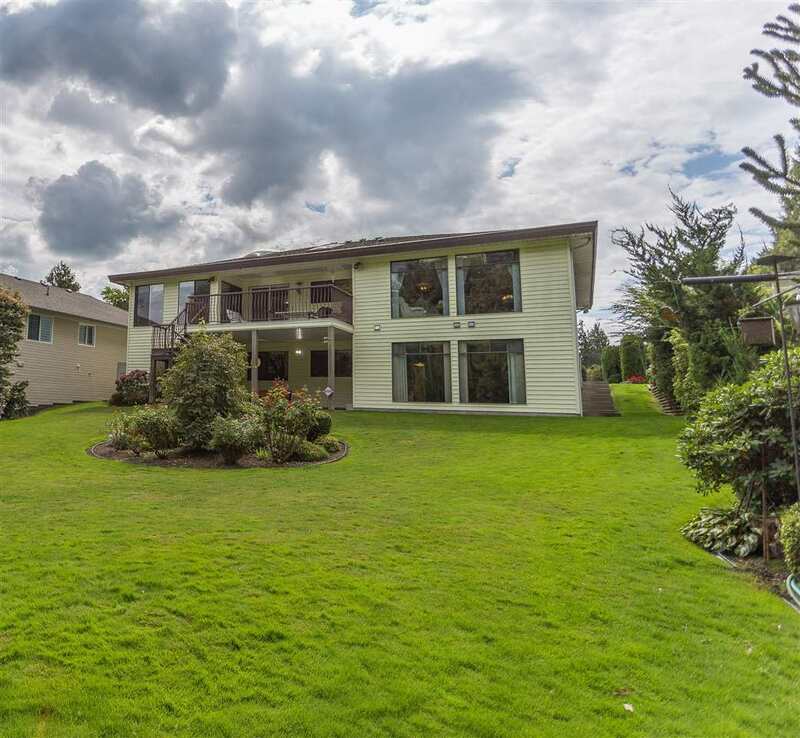 Located on .43 marvelous park-like yard with a "year round spawning creek". 2x6 const. 17x14 covered back deck w/sky light to enjoy the gardens. 2 furnaces, 2 meters, 2 h/w tanks, a/c air filter system, & separate electric panels for main & down. Main has 3 very large bdrms, en suite w/jetted tub & separate shower. Raised oak cabinets in kitchen, ceramic tile backsplash, adjoining eating area w/sliding doors to deck, gas f/p in living room. Picture windows view creek & gardens. Has an RV garage! 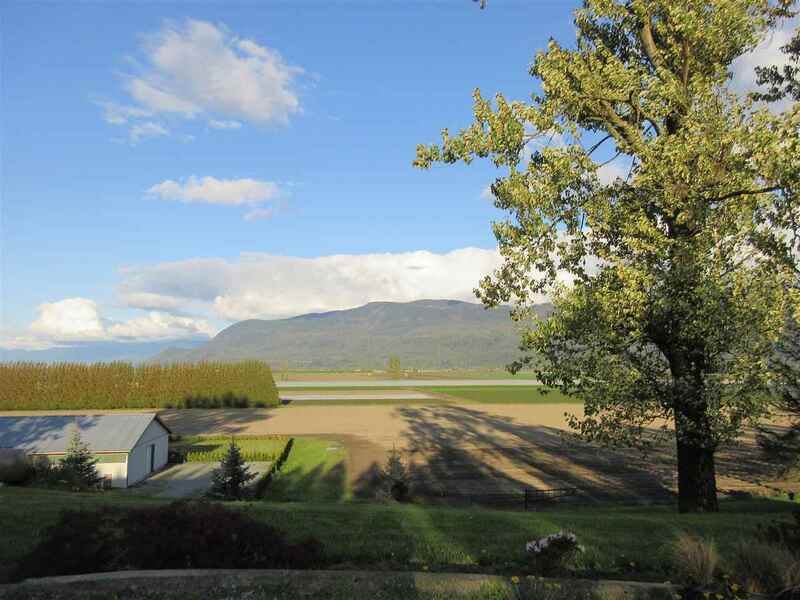 I have listed a new property at 107 7610 EVANS RD in Chilliwack. Please visit our Open House at 5973 FLAGSTONE ST in Chilliwack. Stoney Creek Ranch! A wonderful 45+ gated community of quality built homes. This home has over 1600 sq ft of living space on one level. Very pleasing floor plan with 2 bedrooms, 2 baths & a den, open kitchen with eating island, family room and living room with cozy electric fireplace, 9' ceilings, geo-thermal heat and air conditioning. Double garage & large covered patio. Enjoy the Club House. I have sold a property at 45368 WELLS RD in Sardis. Great Location!! Easy Hwy access This wonderful 2 storey with basement home features 3 bedrooms, 3 baths. 9ft ceilings, great room concept with stone face gas fireplace, rich laminate floors, kitchen has maple cabinets, granite counter tops, island with eating bar, pantry & pot lighting. Master suite above has beautiful en suite with soaker tub & separate shower & walk-in-closet. Unfinished basement awaits your ideas. Stamped concrete driveway & private fenced backyard with a shed. I have listed a new property at 5973 FLAGSTONE ST in Chilliwack. Stoney Creek Ranch! A wonderful 45+ gated community of quality built homes. This home has over 1600 sq ft of living space on one level. Very pleasing floor plan with 2 bedrooms, 2 baths & a den, open kitchen with eating island, family room with an electric fireplace, 9' ceilings, geo-thermal heat & air conditioning. Double garage & covered back patio. Enjoy the Club House.